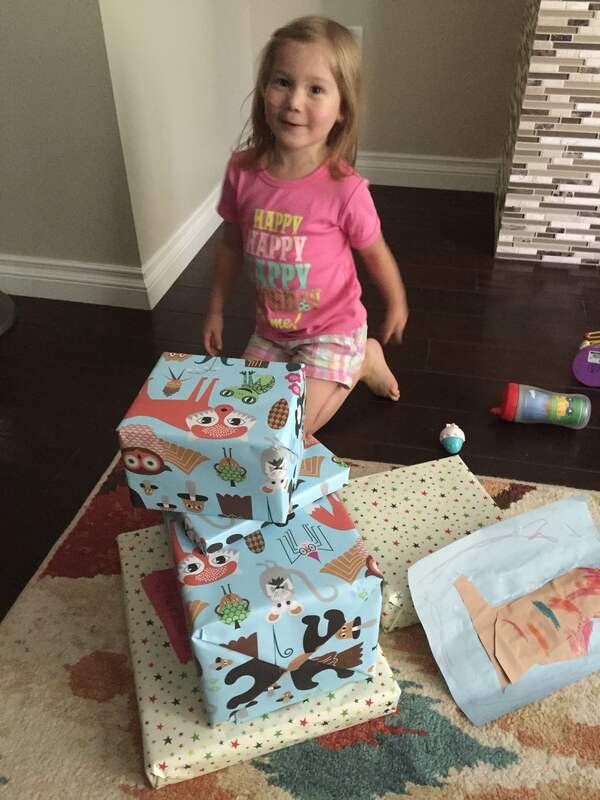 Laine turned four July 19. FOUR. I’m not sure how that happened, she was just born. It’s weird, it feels like she should be four but it’s gone by in the blink of an eye. Brian and I had decorated the night before with streamers, balloons, and oodles of decorations Blaise picked out at the Dollar Tree so when she walked down in the morning she was greeted with all of that. She was all smiles. And super excited. 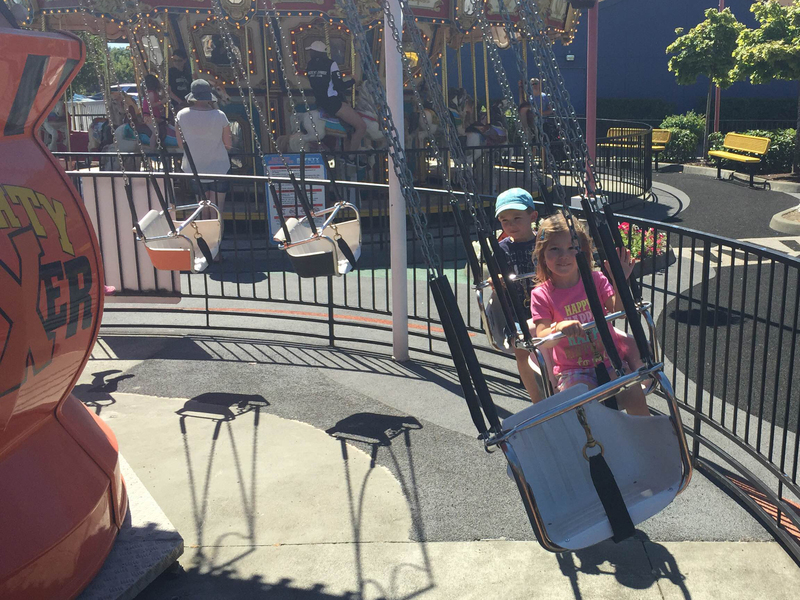 As a parent, there’s something special about seeing your kiddo in their happy place. I could tell she felt special and was on cloud nine. On the other hand, sir had a rough time with it not being his birthday but he survived (barely). So now we have two four-year-olds until September. Makes things interesting when we’re out and they’re asked if they’re twins. They say no and then they’re asked how old they are, and they both answer four. That happened Tuesday. Sunday was spent celebrating Lainey Bug. 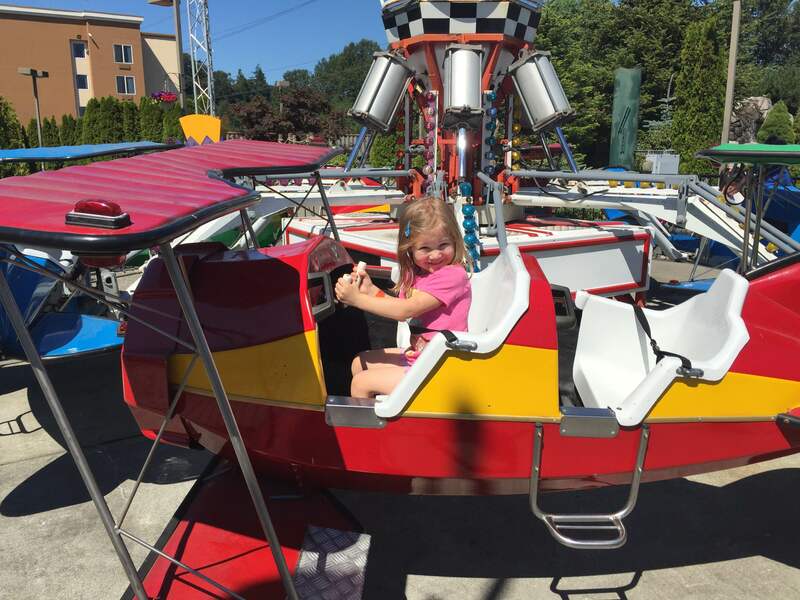 She had the pick of the day and chose to go to the Family Fun Center. I had taken Blaise on a date there a few nights before and she wanted to go and see what it was all about. It was going to be 95 degrees so we went early to beat the heat. (It was still hot.) 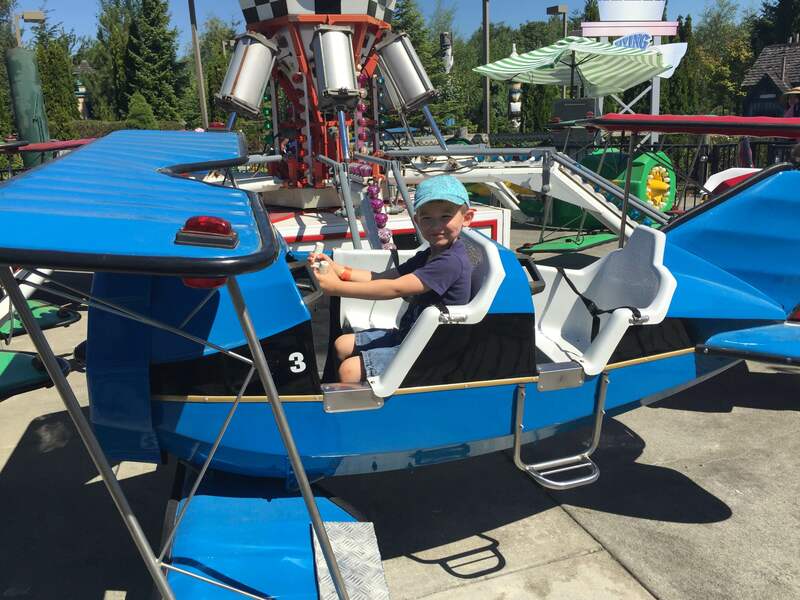 There is a kid area outside with small rides; we started there to get the outside portion out of the way. She wasn’t into miniature golf and was too short to do the bumper boats so after the rides, we went back inside to the play area. 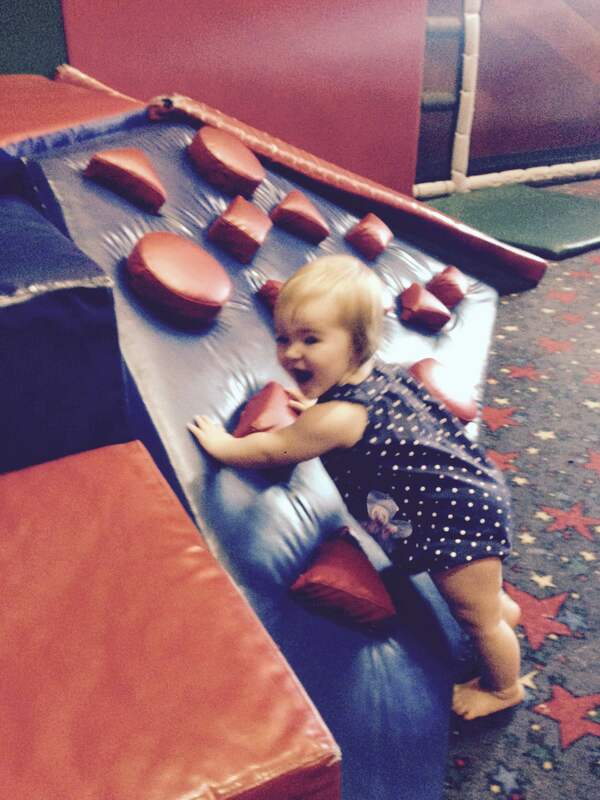 They spent a while in there, and Saige enjoyed a bit of climbing too. After getting their play on, we ate lunch at the cafe. Teacher Roo was there with her family and popped by our table to say hello. The kiddos were clueless and asked who that was when she walked away. I’m not sure how they didn’t realize it was her but once we told them who it was, they were more relaxed as opposed to being slightly confused about a random person talking with them. Weirdos. A few hours spent at the Family Fun Center and we had tired girls. Saige doesn’t miss a beat so she had been up all morning. And Laine was ready for her afternoon rest. We had to swing by Safeway on the way home to pick up the cake Laine selected for the celebration later in the day. 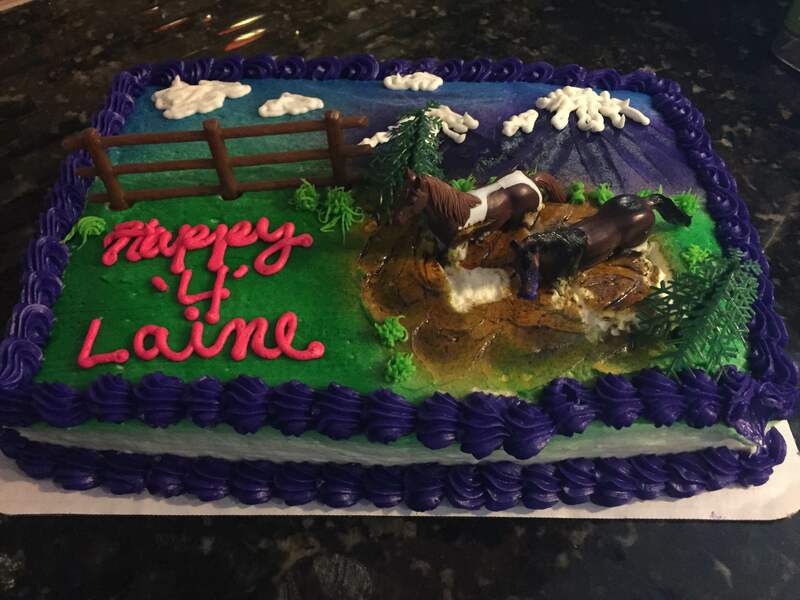 A horse cake of course. The girls napped and recharged for pizza and cake. Mike and Katherine, and Shriya, Dhrishti, Bhavna, and Sundeep came over to celebrate. Despite the heat and humidity in our place, Laine had a great time. 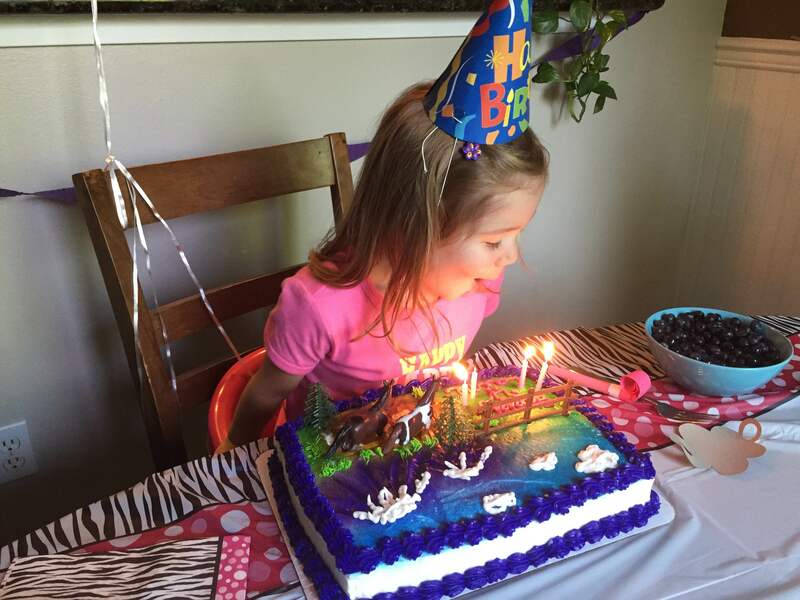 She barely ate pizza—mostly cake—and was anxious to open presents (I remember those days). 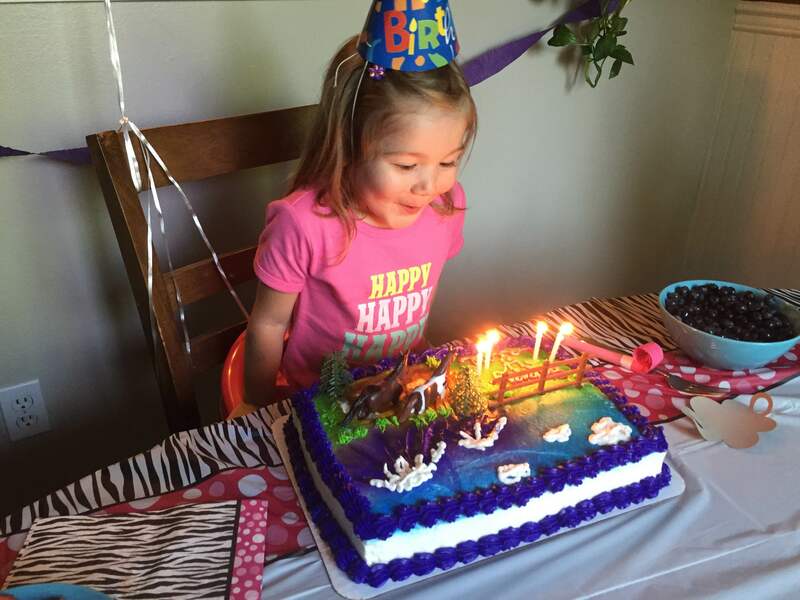 It was a successful day and we had a happy new four-year-old. Birthday season has begun… Blaise next, then the big one-year family bash for Saige in California, and finishing up in October with an actual birth. And next year, we start celebrating half-birthdays like my family did when we were kids. Exciting times for our growing (aging) family.